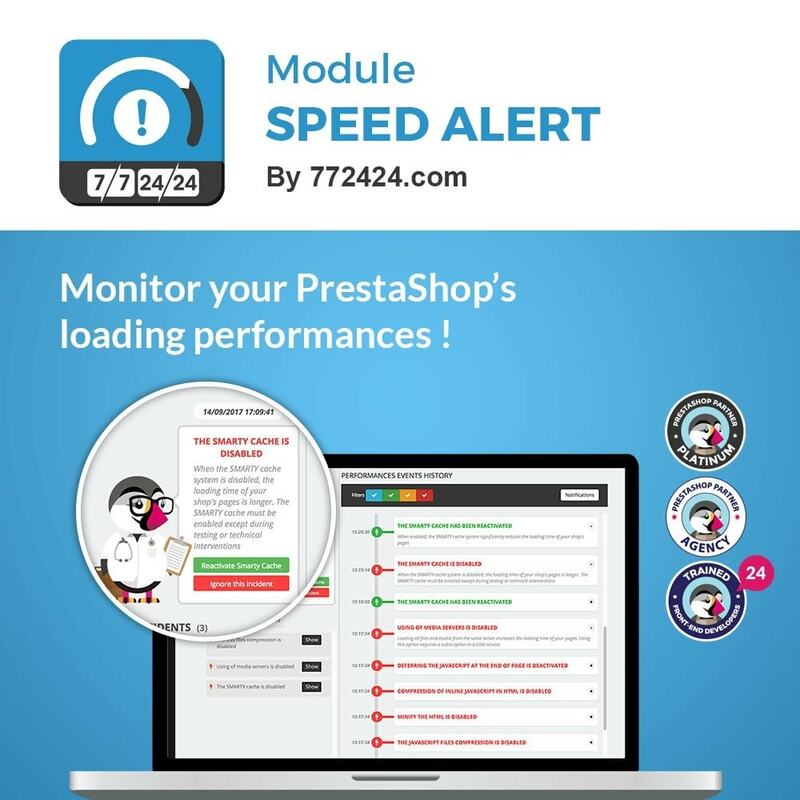 Monitor your PrestaShop’s performances so you do not get penalized by Google! Get notified about the slowdowns and how to correct them. Track the incidents until they are resolved. 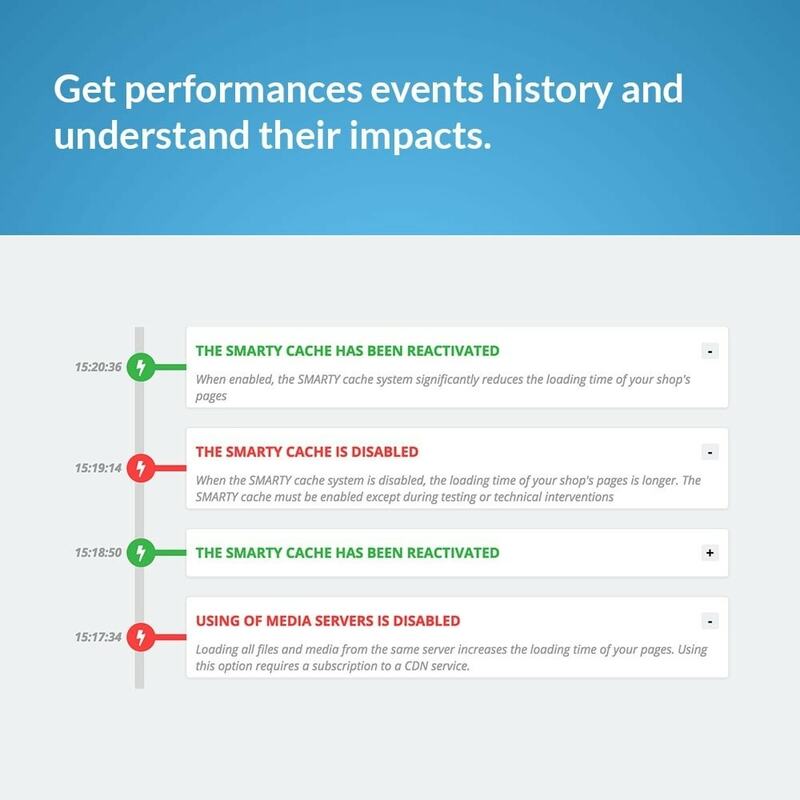 Your store loading time had a strong impact on its google ranking and your site’s conversion rate. Thanks to the Speed Alert module, you will not only be able to monitor your performance status but also discover the elements that slows down your shop. 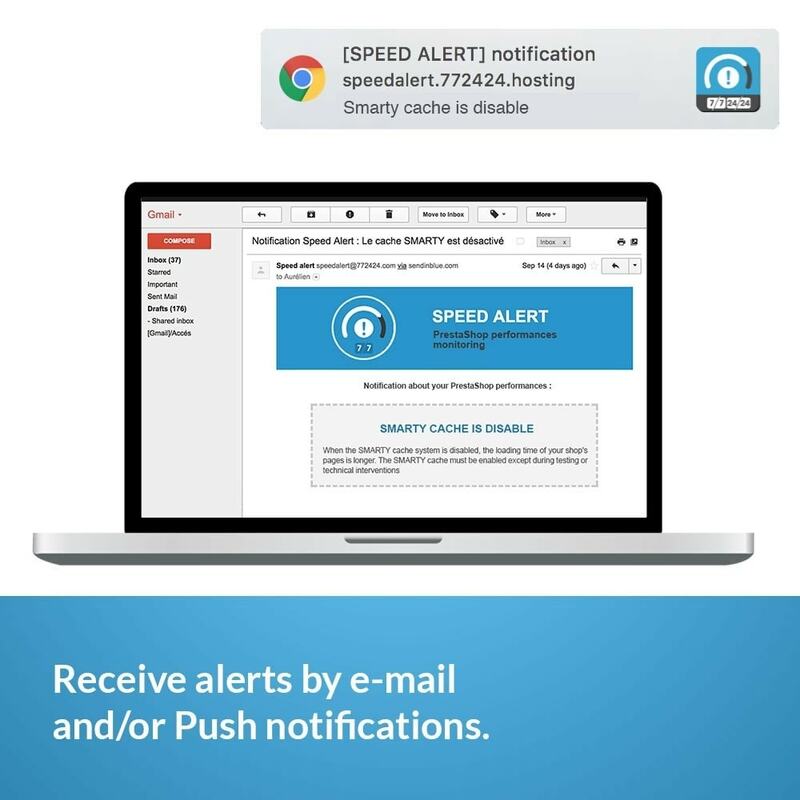 Define the type of alerts your prefer: e-mail and/or a Push notifications. 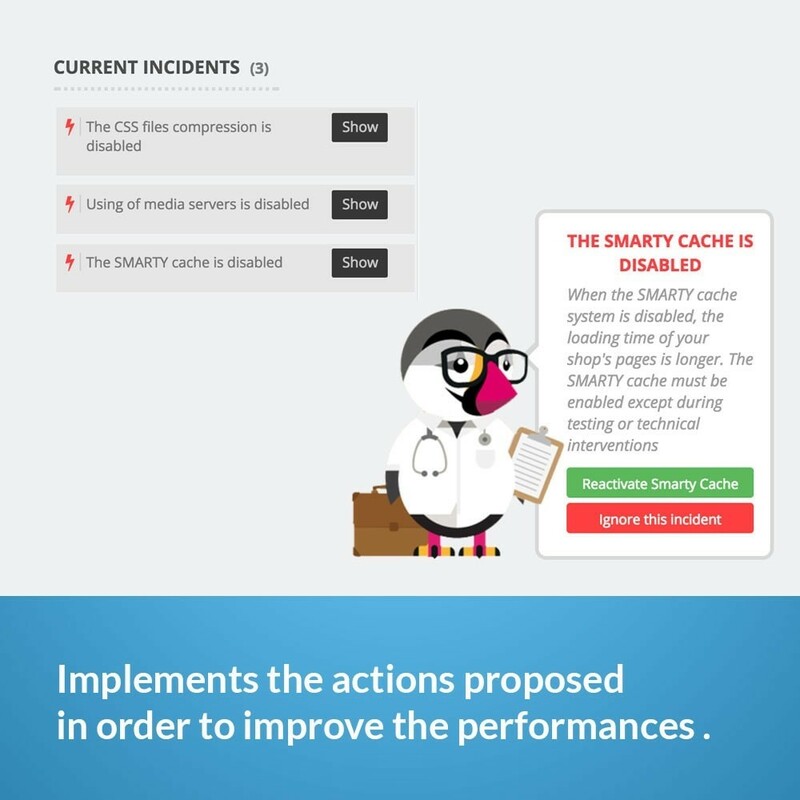 Also implements the actions proposed in order to improve the performances and loading time of your shop. 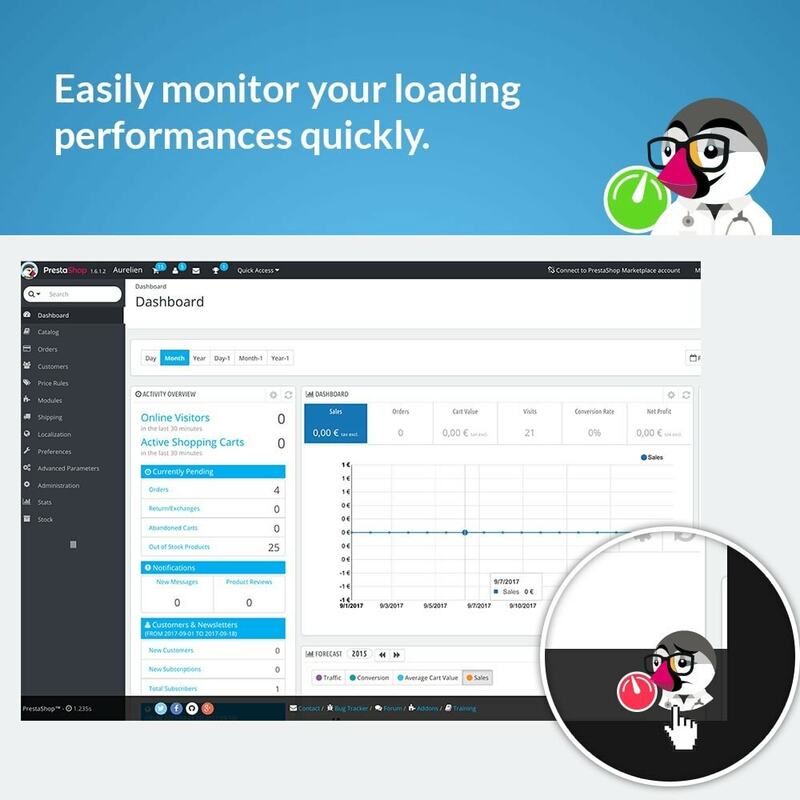 Improve the user experience by offering an optimal loading time for your site, which will give your customers the best experience as possible when buying.